Tiles are a versatile and stylish way to decorate your home, but it’s not just as simple as choosing the right colour or material. The layout of your tiles can have a big impact on the final look and feel of your space. Here are six of our favourite floor tile patterns to give you some inspiration for your room! These shapely tiles, laid in a tessellated pattern are reminiscent of Moroccan and Middle Eastern design. 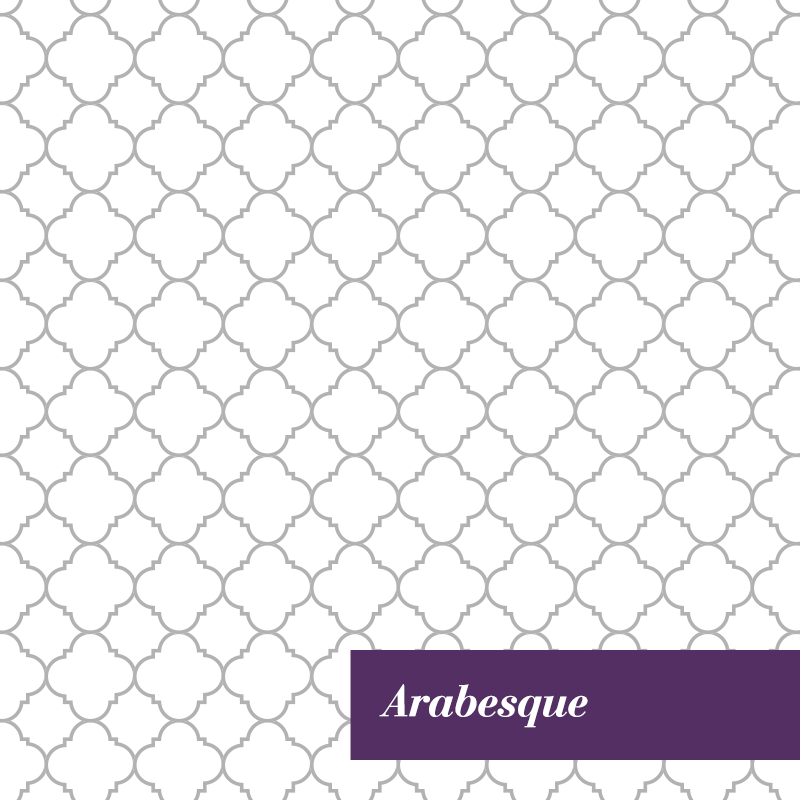 Traditionally, Arabesque patterns are used to tile flooring in high traffic areas like the kitchen, or outside on sun-soaked patios but you can use this eye-catching pattern to great effect as a feature in a more unusual location such as inside a shower cubicle. The basket weave pattern is created with rectangular tiles laid in pairs at 90° angles to one another, providing an interesting appearance with easy installation. Basket weave is a classic pattern that works particularly well on flooring, but could also be used to create a stylish kitchen backsplash when combined with a eye-catching material like marble. A timeless layout, the brick bond pattern suits a number of uses. The long, horizontal lines achieved with this pattern can give the appearance of extra width in your room so works especially well in smaller spaces. Whether it’s tiling your kitchen or your bathroom, use contrasting grout with brick bond patterns for an eye-catching geometric look. 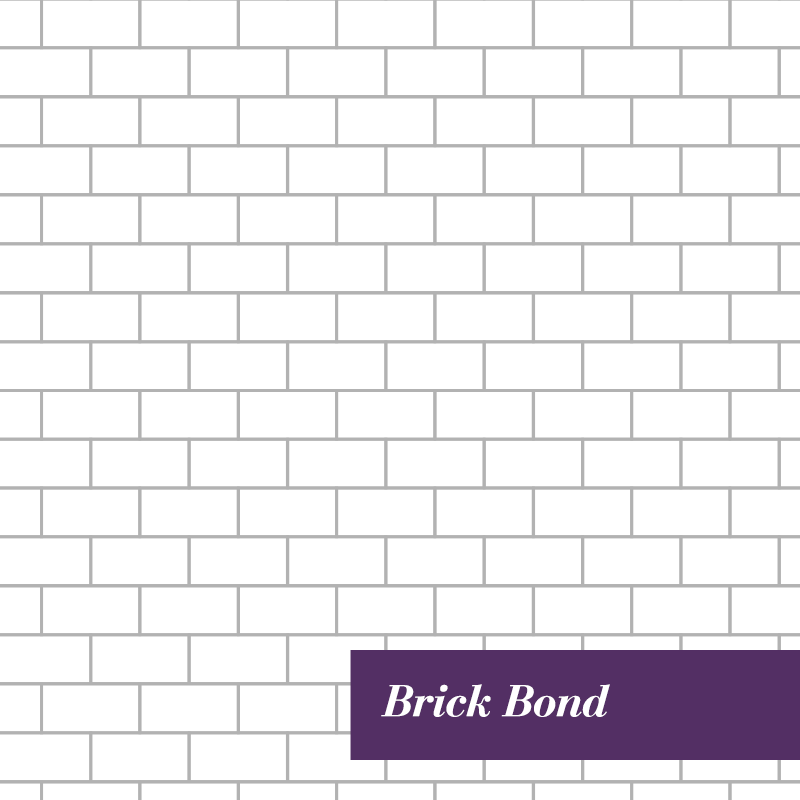 Alternatively, lay your brick bond pattern vertically for a twist on the classic that will help add an appearance of height, and give your room a unique feel. Offering simplicity but with a little twist, the diamond pattern turns the more common linear pattern on an angle for a more interesting look. This pattern is practical as well as stylish, making smaller rooms look bigger and masking wonky walls. Create a minimalist look with all one colour or try alternating colours for a fun chessboard effect. 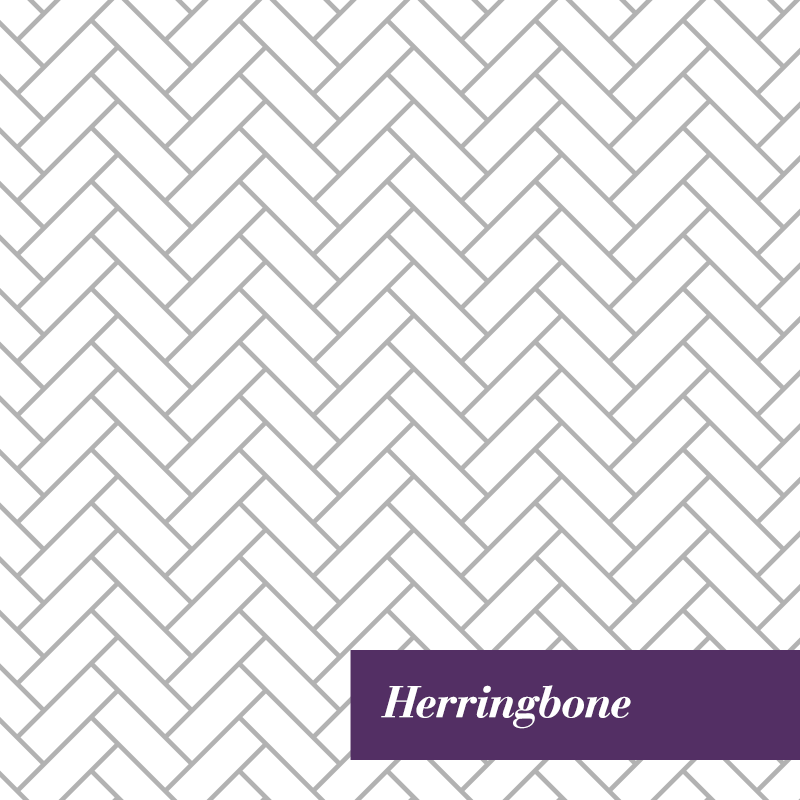 Herringbone is an increasingly popular tile pattern, with a sophisticated and high-end finish. The striking, angular effect achieved with this pattern makes it perfect for accent walls and statement finishes but can be a little overwhelming when used on a large surface so it’s best kept to smaller areas in the home. When planning for a herringbone pattern, be sure to budget for 20% extra materials due to the additional cutting needed on the borders to achieve pattern perfection. Also known as the honeycomb pattern, this layout is a great way to make a statement in your space. Play with scale, pattern, colour and texture to make the most of this dramatic pattern for bathroom floors, kitchen splashbacks and other key features. The hexagonal pattern also lends itself well to creating a modern-day mosaic for your floors or walls. For those looking for a little simplicity in their space, a linear or grid tile pattern is the perfect match. Create harmony with a single tile colour in this easy pattern, or use multiple colours for a checkerboard effect that will stand out on hallways and kitchen floors.